Let's start with the obvious. The whole idea of smart homes in Singapore is laughable. Most of our homes are, what, 100 square metres? I mean, if you can't be bothered to walk 3 metres to turn off the lights manually, then the Health Promotion Board has failed. But, this being Singapore, we're not going to let mere things like, you know, lack of real utility stop us from wanting to kit out our BTOs with lights, curtains, TVs and speakers that switch on/off/turn purple all by themselves. After all, magic isn't real, but you can always pretend by programming your blinds to roll up when you say "wingardium leviosa". But how do smart homes even work? Which smart home system should you go for, and what can it do? I'll introduce the 3 most popular entry-level systems in Singapore: Google Home, Xiaomi Mi Home and Samsung Smart Home. HOW DO SMART HOMES WORK IN THE SINGAPORE CONTEXT? Many Singaporeans already enjoy some level of smart home integration. Ever controlled a robot vacuum cleaner or IP camera with a mobile app? Or used a Chromecast to play stuff from your phone on a TV? Let's take the TV as an example. In its original form, it's "dumb" in the sense that it can't communicate with any other device. It only responds when you push the buttons on the remote control (which is still part of the same device). But when you plug in a Google Chromecast, it's works like an adaptor between the TV and phone. It transmits information from your phone through your Wifi network, translating that information into something that your TV can understand and take action on. It's essentially a communication device that lets electronics talk to one another. A smart home is basically a set up where this sort of communication happens, but with more devices in your home. One important component is how YOU activate your now-connected devices. Depending on which smart home combination you choose, this can range from (in order of least to most automatic) pressing buttons on an app, to voice control, to using motion sensors. There are ways to set it up yourself, but for beginners, it's far easier to pick a system and buy devices that are compatible with that system. Below is a discussion of the most prevalent entry-level smart home systems available in Singapore. Google Home's primary function is as a voice-controlled personal assistant. Think of it as a different way to use your mobile phone. For example, instead of opening Spotify on your phone, you tell Google to play you a song. Instead of searching for a dinner recipe with oily hands in the kitchen, you get Google to read the recipe aloud, and so on. The personal assistant function is its key strength, but you can also use Google Home to control compatible smart devices by adding them on the Google Home app. Generally you'll have no problem with Google products and the more US-centric tech (ahem, expensive as hell) like Philips Hue lights, Nest home security products, and iRobot robot vacuum cleaners, but note that Google doesn't support all devices natively. It was only quite recently that Google Home started supporting Xiaomi smart devices. You have to link your Mi Home and Google accounts to do so but the support ranges from product to product, although it definitely works with Xiaomi's smart lights. An important thing to note is that Google Home, or Google Home Mini, doesn't include sensors or any sort. All it does it let you control stuff with your voice. In that sense, it's not really a complete smart home system, but it's probably good enough for novices who just want to try it out for fun. Since the average tech geek here would already have a small mountain of Xiaomi devices at home, it's an obvious choice to control them all with Xiaomi's smart home system, called Mi Home. All you need to do is download the Mi Home app and sign up for a free account. But if you want to go full-on "smart home", you'll want to buy the Xiaomi smart home kit, which is a set of motion sensors, a smart plug, and a hub (which doubles as a night light and radio). Here's where Xiaomi Mi Home becomes a completely different beast from the Google Home. This kit allows for a lot more automation and convenience, because you can programme the sensors to trigger an action in a compatible device. Sensor-enabled devices are like your boss's pet bootlicker - they do things without having to be asked. For example, you can programme your Xiaomi Yeelight (Xiaomi's smart lighting range - way cheaper than fancy Philips Hue!) to turn on when you enter a room. Or, you can connect it with the Xiaomi security camera to record a video in case of a break-in. You're not entirely limited to the Xiaomi ecosystem either. The Xiaomi smart plug works as a converter to allow you to communicate with non-Xiaomi devices, allowing you to turn off your "dumb" TV via the Mi Home app, for example. Since the starter kit only has 4 items, you will probably have to add on more sensors and smart plugs at some point. Fortunately Xiaomi has some of the cheapest of such products and you'll find most of these under S$20 online. By the way, you'll need to select China (not Singapore) as your region in Mi Home or you won't be able to make the most out of your Xiaomi smart home devices. That's because most newer Xiaomi products are not launched for our market yet - the ones you see online are China imports. See this Mi Home article for a more in-depth explanation. Well, what d'ya know? Samsung has a smart home system too. It's called SmartThings and it was originally a Kickstarter project before Samsung bought it. On the face of it, Samsung SmartThings components do seem overpriced. Take that S$88 smart plug for instance. A Xiaomi smart plug costs about S$20, while IKEA has released a US$10 (S$13.50) one (not yet in Singapore) - that's how cheap these things are getting these days. As with Google Home, most of the listed devices that work with Samsung SmartThings are of the pricey, Western variety. However, the SmartThings Hub is supposed to support the major wireless technologies (Bluetooth, Zigbee, etc.) so it's technically possible to link your not-officially-supported device, possibly with some light "hacking", as documented here. The edge that Samsung has over its competitors (for now) is its range of big home appliances, like that S$7,500 smart fridge and their top-of-the-line TVs. These are, naturally, integrated in the SmartThings app, so if your home is already a shrine to Samsung tech, it could make sense to go with them rather than toggle between systems. Samsung SmartThings has its own voice assistant called Bixby, so you don't have to get a Google Home or Alexa if you want an imaginary friend to talk to. But I'm just scraping the bottom of the barrel here. I honestly doubt there's much reason to invest in a full-blown Samsung smart home system, especially at this relatively immature stage of smart home technologies. Looking at their clunky website, the last thing you'd associate IKEA with is cutting-edge technology. Yet all the tech blogs are earmarking the Swedish furniture powerhouse as the future of cheap, easy-to-implement smart home devices. Just like how they revolutionised the furniture industry with ultra-cheap, flat-packed bookcases, IKEA will be rolling out a series of extremely affordable smart lighting under the TRADFRI range. It's slated for a May 2019 date according to the IKEA Facebook page, but there are already a few accessories on the IKEA Singapore website. Over in the US, the TRADFRI bulbs are available in 3 fittings, with one of them (E27) being available as a colour option (like the Philips Hue!). They cost US$7.99 to US$18.99. That's comparable to that of Xiaomi's Yeelight bulbs (S$15 to S$25) and much cheaper than Philips Hue bulbs (S$20 to S$80 each). You have to hook them up to IKEA's own hub (TRADFRI Gateway, US$29.99), which you'll also need to use the TRADFRI smart plugs for other devices (US$9.99). Neither of these are available in Singapore yet, so at this point you can't actually do up your place in IKEA smart lights just yet. IKEA has a couple of high-profile smart home things in the works: Motorised smart blinds from €99 (S$151.34) and a smart speaker in collaboration with Sonos. These aren't even out in the US or Europe yet so there's no launch date for Singapore. In any case, I'm not so sure how well IKEA's entry-level products will do in Singapore. 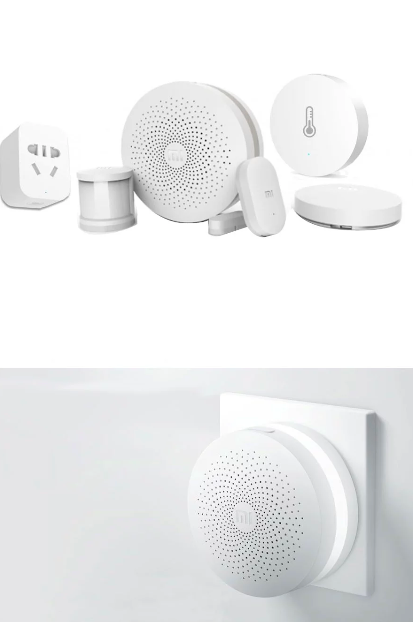 By the time IKEA Singapore starts selling them, everyone who wants a cheap smart home system would have bought an entire apartment's worth of Xiaomi stuff (there's a Xiaomi curtain motor, FYI). But IKEA actually addresses a problem in the market - smart home gear is just too niche at the moment. Right now they only appeal to tech geeks who're on a budget and don't mind DIYing (Xiaomi), or those with deep pockets willing to pay for "prestige" tech (Samsung, Philips Hue). If IKEA somehow makes smart homes as normal as Billy bookcases and Lack tables, I'm all for it.